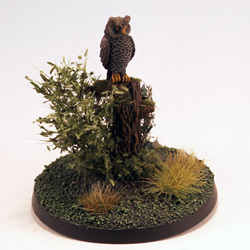 This is my series of small forest terrain elements on 40mm bases. 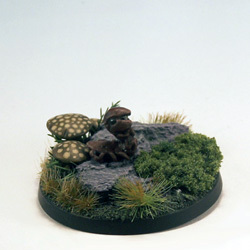 These bases are inserted into larger terrain bases to form a modular forest. 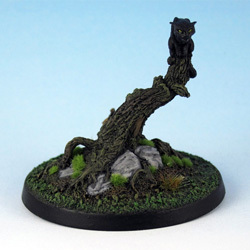 This extension to the modular forest focuses on woodland creatures on 40mm bases. 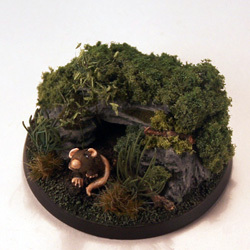 These bases are inserted into larger terrain bases to form a modular forest. Another extension to the modular forest. 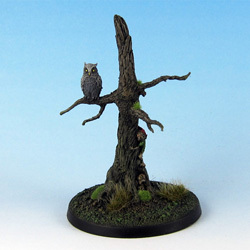 Grimm’s fae trees from Mannikin Studios focuses on trees based on the artworks of Arthur Rackham for Grimm’s Fairy Tales. 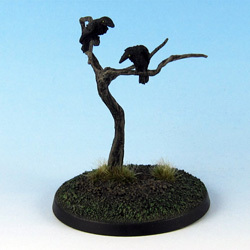 There were originally plans for 12 miniatures, but since 2012 only three have been released.